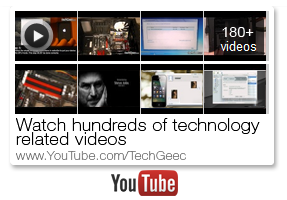 Posted on July 2, 2012 by Renee G.
Ever since the release of Apple’s MacBook Air, ultrabooks are becoming more and more popular. However, many individuals are Windows users and prefer to use a thin laptop of great quality that utilizes that platform. These days, you have many great ultrabooks from which to choose, one of which is the Asus Zenbook UX31E-DH52. This device has many amazing features and specifications, making it the ultimate computer for any user who is always on the go. While ultrabooks are pricier than most standard laptops, you can purchase it cheaper with a Newegg coupon code when you shop. If you are considering buying the Asus Zenbook, you should explore all the details you can expect. The design of the Asus Zenbook UX31E-DH52 is extremely similar to that of the MacBook Air by Apple. It is constructed from an aluminum unibody that rivals its Mac competitor. When closed, its silhouette appears in a teardrop shape and it sports a 13.3 inch screen that has a resolution of 1600 by 900 pixels. The ultrabook is primarily silvery gray with silver keys on its keyboard, making it not an exact clone of the MacBook Air like many Samsung models. It is very lightweight at just over three pounds, making it a breeze to tote around. 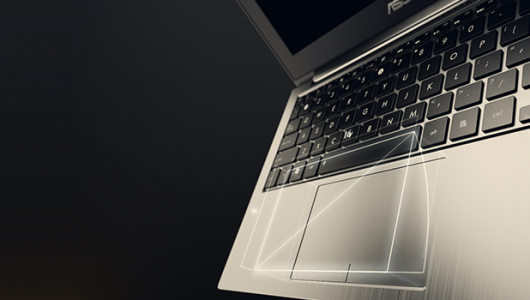 The Asus Zenbook UX31E-DH52 is equipped with Microsoft’s Windows 7 Home Premium 64-bit operating system. It includes 4GB of memory and sports a 128GB or 256GB solid state drive, which is sufficient if you plan on using the machine for browsing the Internet, listening to music, watching videos, and for saving a minimal amount of files. The ultrabook sports a 1.7 GHz Intel Core i5 or i7 processor that is speedy and efficient. The speakers in the Zenbook are spectacular and superior to those of the MacBook Air and many other competing ultrabooks, so if your main goal with the device is listening to music or watching movies and videos, you will be completely happy with this feature. Battery life of the Asus Zenbook UX31E-DH52 is not the best at around five hours. This is one feature of the ultrabook that may be negative to some, so if you need a machine that is going to perform for many hours outdoors or in an area where you may not have access to an outlet, you may want to reconsider this device. However, if you will be out for no more than five hours with your ultrabook, the Zenbook is perfect for you. The regular retail price of the Zenbook UX31E-DH52 ranges from $1,099USD to $1,449USD, depending on the amount of hard drive space and processor you select. This makes it somewhat cheaper than a MacBook Air, though you can find it for under $1,000USD at certain stores if you do your research and comparison shop. Other features you get with the Asus Zenbook are a multi-click touchpad, a USB 3.0 port, micro-HDMI connectivity, and an SD card slot. When considering a new ultrabook, the most important question you should ask yourself is: What are the features I truly need, and how much money am I willing to spend? You can also decide whether you require the pricier version of the Zenbook if you feel it would be well worth the extra cost.